We are generally available to meet after hours as well by appointment. 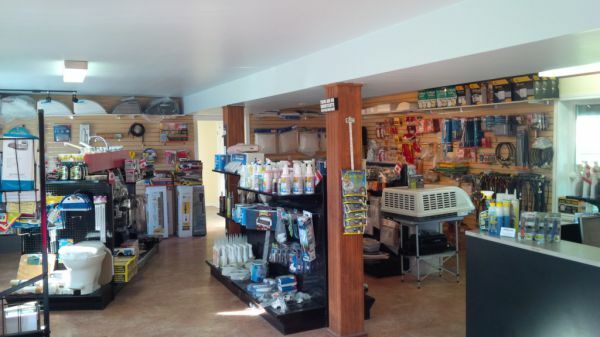 Located in the Heart of the Kawartha Lakes, just one mile south of Fowlers Corners west of Peterborough!! Proud to be the #1 DEALER OF COACHMEN CATALINA for CANADA. Our dealership offers the Best of Everything with Quality Trailers, Huge Inventory, Great Service and Unbelievable Pricing. 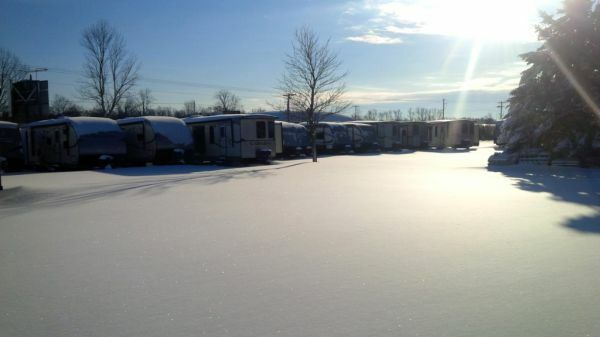 We have licensed technicians who offer in house or mobile service at your campground. We also offer insurance repairs on site . �Our fully stocked store has repair parts, accessories, and towing supplies. Come see our large selection of travel trailers, 5th wheels, light weight trailers and destination park models designed to suit every budget! Coachmen Catalina Travel trailers and Destination Park Models, Puma travel Trailers and destination Park Models, Coachmen Freedom Express, Sun-Lite and Sunray lightweight and Retro trailers,Arctic Wolf 5th Wheels and Alpha Wolf Travel Trailers....something for everyone! LOADS OF UNITS IN STOCK NOW! We are also Proud Sponsors of the Easter Seals Campaign, Lindsay Boys and Girls Club, Peterborough Speedway, Kawartha Lakes Kinsmen Toy Drive, The Local food Bank, Peterborough Petes OHL Hockey and The Havelock Jamboree. NO SURPRISES! Our Price includes; PDI, freight, full propane, battery, new water hose, sewer hose, hydro adaptor, water regulator and more on all new travel trailers! With a bright and spacious parts and accessories department, we offer all of those must-have items. What we don't have on site we can usually order in a matter of days. View our online parts catalog to see what we have to offer!